Pristina Airport anticipates strong passenger growth later in the year after the European Commission today proposed for the Council of the European Union and the European Parliament to lift the visa requirements for Kosovan citizens by transferring Kosovo to the visa-free list for short-stays in the Schengen area. Similarly, strong passenger growth was recorded in Belgrade, Skopje and Sarajevo after visa requirements were lifted for their respective citizens several years ago. Previously, Pristina Airport's General Manager, Haldun Fırat Kokturk, said, "Visa liberalisation will make a significant impact and will develop air transport. The people in Kosovo are young, they like to travel, and when they have a chance they will”. He noted the airport will see strong growth if visas are abolished in 2016, otherwise numbers would have remained similar to that of last year. 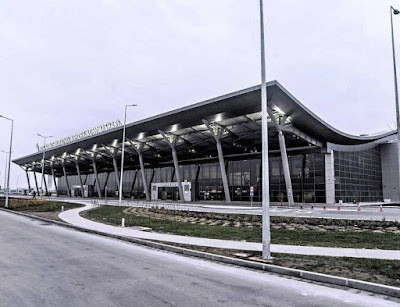 Visa limitations have resulted in Pristina Airport’s traffic being largely one-way. Some 70% of its passenger structure is composed of the Kosovan diaspora living in Switzerland and Germany. Pristina Airport handled 1.549.198 travellers in 2015, with figures improving 10.3% compared to the year before. Zurich was the busiest destination during the year, while New York was the top unserved route from the city. Congrats Pristina, right on keep on going growing every day :) very good news for PRN!! Nadam se da ce samo putovati kao sto se u zapadu putuje, a ne iskoristiti ovu priliku da traze azil, kao slucaj Albanija, BiH i Srbija. Nazalost mnogi gradani ti drzava ne znaju cijeniti ukidanje vize a sjecam se takoder jednog prijatelja mog rodaka koji je odma pobjegao u Njemacku naravno vracen ali se probao kriti u Njemackoj i ici ispod zemlje da ne bi nekako uspjeo. Sretno PRN, kad vas je puno mladi cijenite ovu lijepu priliku.